drag&bot is a robot framework to setup, configure & program industrial robot cells easier then currently possible. 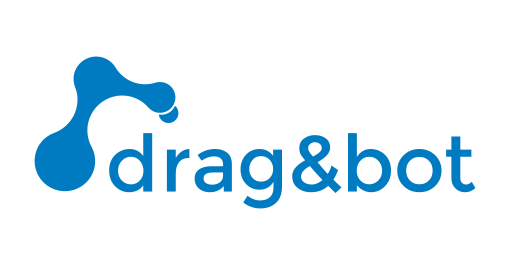 drag&bot is a robot framework to setup, configure & program industrial robot cells easier then currently possible. Our vision is to help factories to cost-efficiently automate even small lot sizes and customized products by making industrial robots more flexible and easy to use. The cloud-based, graphical interface helps non-experts to use industrial robots on-the-fly. After setup and programming, the robot can executes a pre-defined task independently offline. The framework can support all relevant hardware and can easily be extended by external software modules. We are currently looking for pilot projects to add missing product features. If required we can deliver a full solution, meaning we will also provide the necessary hardware. In 2018 we will cooperate with system integrators and robot manufactures as distribution partners to scale.